This article is 2811 days old. 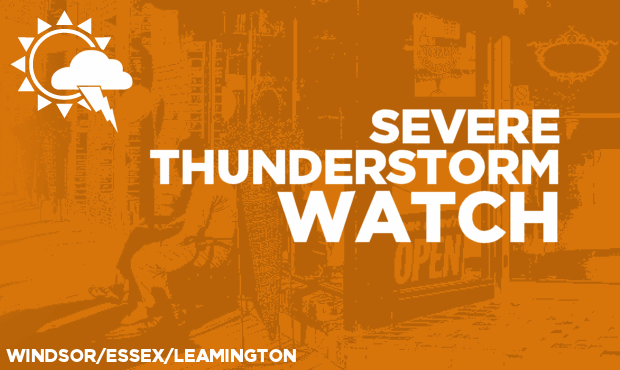 Conditions are favourable for severe thunderstorms to develop this afternoon. This is an alert to the potential development of severe thunderstorms with large hail, damaging winds or heavy rainfall. Thunderstorms are expected to develop over lower Michigan near noon and move into Southwestern Ontario. Some of these thunderstorms could reach the severe level. The main threats are torrential downpours, intense lightning and damaging winds to 90 km/h.